If you’re looking for a great selection of new and pre-owned vehicles, quality auto service, and a friendly face to help assist you, the team at Mike Anderson Chevrolet of Merrillville can help! Our Chevy dealership near Valparaiso, IN has proudly served the Northwest Indiana community for many years and will continue to provide our assistance for years to come. Do you have any questions for the Mike Anderson of Merrillville team? Reach out by calling 219-947-4151. 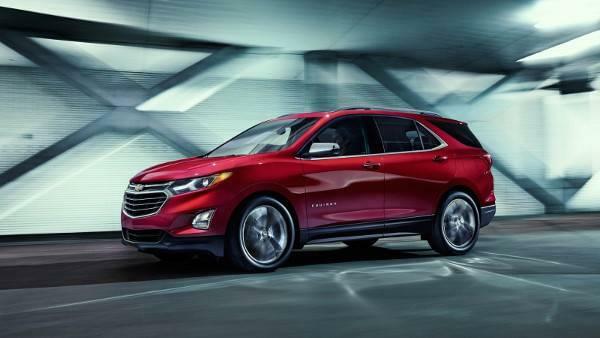 Whether you’ve had your eye on a new Chevy Cruze or an older Chevy Tahoe, you’ll find the model you’re looking for in the new, certified pre-owned, or used vehicle inventories at our Chevrolet dealership serving Valparaiso, IN. In our new vehicle inventory, you’ll find the latest Chevy models to come off the assembly line. From the coolest hatchbacks to the most heavy-duty pickups, you’ll find the model you’re looking for. If you need to save some money on your next vehicle purchase but still want similar quality to a new vehicle, a CPO Chevy is a great option. Dead set on a used model? Our pre-owned vehicle inventory is filled with hundreds of used models that are in great condition. We even have an under 10k inventory if you’re really looking to save your money. Make sure to check out new vehicle offers and incentives as well as pre-owned specials for a great deal on your Chevy car, truck, or SUV of choice. Interested in financing or leasing your selected vehicle? The auto finance team at our Chevy dealership near Valparaiso, IN can set you up with a plan that works with your budget. Learn more about the auto financing center at Mike Anderson Chevrolet of Merrillville to see how we can help you with your auto loan and lease needs. We have a few tools you can use to make the financing process much easier. If you aren’t sure whether or not financing or leasing your Chevy car, truck, or SUV is right for you, learn more about each method on our buy vs. lease page. Use our payment calculator to get a rough estimate of how much you’ll owe on your vehicle each month, and apply for financial assistance from the comfort of your own home. Do you need a routine tire rotation? Is there a strange noise coming from under the hood? No matter what sort of service you need, the auto technicians at our Chevy dealership near Valparaiso, IN can handle it. Our technicians are factory trained and certified and know your vehicle like the back of their hands. Feel confident your Chevy is in the best hands when you drop off your vehicle for service at Mike Anderson Chevrolet of Merrillville. Schedule your service appointment at a time and date that works best with your schedule. Before you do, check out our service coupons to help you save on your next trip to the Mike Anderson auto maintenance and repair center. While visiting some car dealerships seems like a daunting task, you’ll never have that feeling when stopping into the Mike Anderson Chevrolet of Merrillville showroom. We go above and beyond to make sure you feel completely at ease, whether you’re purchasing a vehicle or receiving auto service. To learn more about our Chevrolet dealership near Valparaiso, IN, send the Mike Anderson team a message online or call 219-947-4151.